Netflix will give Ricky Gervais’ satire Special Correspondents a worldwide debut in 2016, Variety reports. Late last year, Gervais—creator and star of The Office, Extras, and Derek—signed on to write, direct, and star in the remake of the 2009 French comedy about a radio journalist in Iraq. 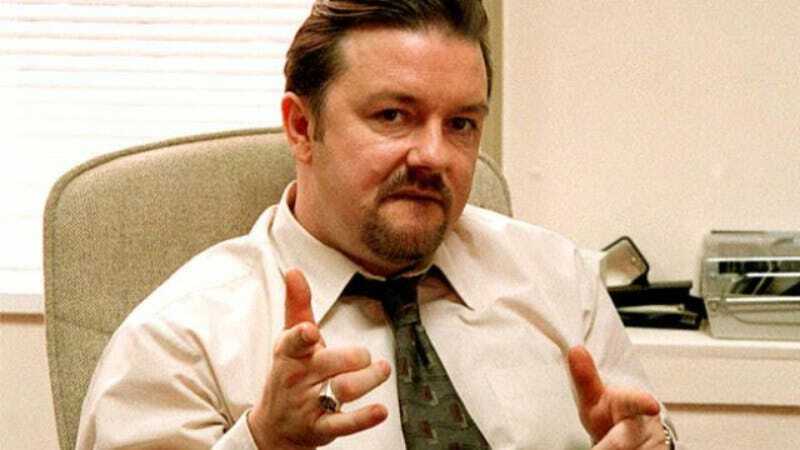 In Gervais’s remake, Eric Bana will play a formerly popular radio journalist assigned to cover a political uprising in Ecuador with his technician, played by Gervais. The two fake being kidnapped by rebels and “report” on their situation while really just hiding out in their New York City apartment. “Having shaken up the TV industry, Netflix is about to do the same to Hollywood. It’s great to be part of the changing future,” Gervais tells Variety. Netflix’s deal with Gervais is the latest in a series of movie deals between the streaming service and big-name directors; just last month, Netflix paid $12 million for the worldwide rights to Cary Fukunaga and Idris Elba’s war drama Beasts Of No Nation.